GET THE GYM IN YOUR POCKET. Trainym- a fitness app empowers customers to choose the right health and fitness regime. The app facilitates customers to stay tuned to the prescribed exercises from their fitness experts, monitor their progress and accomplish their fitness goals. Using the latest programming Language,i.e. swift, the expert iOS developers have built two versions for Trainym, viz., (1) For Trainer- iPad Edition and (2) For Clients/Customers- iPhone Edition. 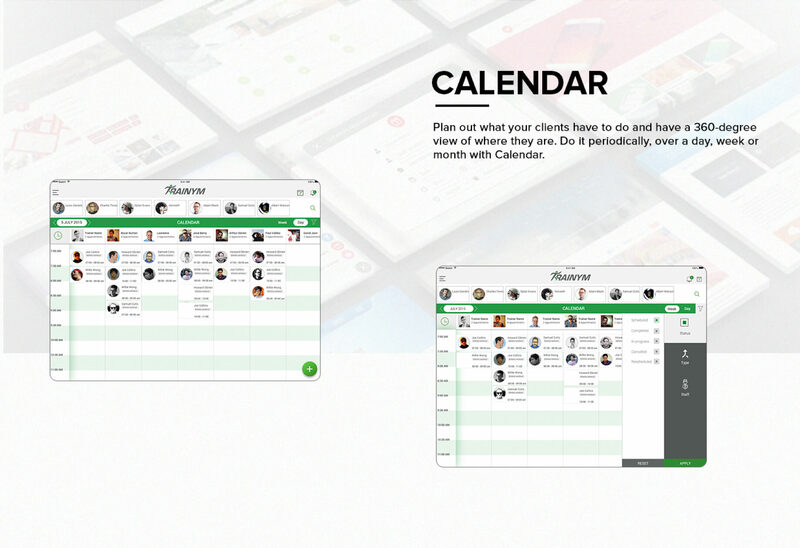 Allows proper management of gym business smoothly via an iPad, (features includes Dashboard, Calendar, Workouts, Exercise, Purchase, Reports, and Support). Allows creating tailored fitness regime for the client depending on strength and the goals. Schedule and reschedule fitness classes and keep the customers informed through notifications.